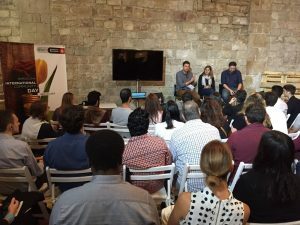 On Saturday, October 21, Barcelona Activa invited Cowocat in the Barcelona International Community Day to be present in a round table about how coworking enables startup companies to incubate and grow. Barcelona ICD is the meeting point for Barcelona’s International Community, a yearly exhibition. This year marks the fourth expo held at the Museu Marítim of Barcelona. 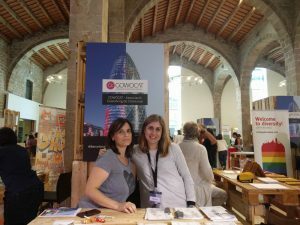 Barcelona Activa hosted the event, offering the opportunity to connect with people and discover more about what living and working in Barcelona entails. Three speakers participated in the round table of “Environments Made in Barcelona: Incubators, Coworkings, and Accelerators”. Scott Mackin, founder of Bourbon and Barcinno, the leading website for all news regarding startups in Barcelona, moderated the panel. 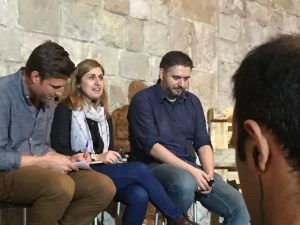 Neus Inglada Figueras, Founder and Manager of Cowork Rambla Catalunya and member of the board of COWOCAT represented the association bringing the view of coworkings in the Barcelona entrepreneurial ecosystem. Xavier Du Mont, the Head of Entrepreneurship Services at Barcelona Activa, contributed with their tools for entrepreneurs offered to any person local and foreigner having a project, a company or an idea. Coworking is regarded as an important integration tool, not just in Barcelona, but by the entire international community. It enables the quick and flexible transition into living and working in a new city. Cowocat also had the opportunity to network and answer questions at a stand during the International Community Day expo.